Dr. Kisaka has been practicing Internal Medicine in the Lansing area since 2008. 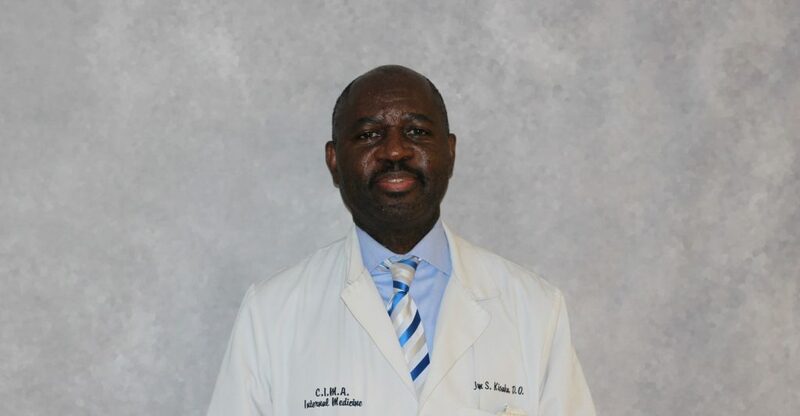 Dr. Kisaka was born in the republic democratic of Congo, in Africa, and moved to St. Paul, Minnesota where he finished his high school education. After obtaining his bachelor degrees in chemistry and business administration (Management) from Augsburn College in Minneapolis, he worked as a chemist for three years. He then moved to Des Moines, IA where he attended Des Moines University Osteopathic Medical School which he graduated from in 2005. He then moved to Lansing where he did his internship and residency in Internal Medicine at Ingham Regional Medical Center.